Fender presents a multi-effects pedal ever made by ‘Fender’ with the name Mustang Floor, a multi-effects pedal with a versatile high performance. In it has amp modeling technology professional level, wealth preset settings and sound effects artists from a wide variety of musical genres. And you do not have to be a technology expert to be able to master the Mustang Floor pedal, this pedal is designed to be used easily from first when removed from the box. This pedal is the result of a natural development of the Fender Mustang series amplifiers (basically resembles a Mustang amplifier circuits without power-amp and speaker). Mustang Floor is designed for a wide range of needs, and is the only multi-effects settings are great for basic needs guitar amp that gives you more than three dozen digital effects at your feet under control. This pedal is also a modeling preamp with low-impedance speaker-emulated outputs that can be issued directly to the PA-voice output system, also has a modeling preamp with line-level outputs that can be connected directly to a power amp and speakers. It also has a headphone output for silent practice, and also has auxiliary input that lets you jamming and playing along with music in Ipod or other media. And besides, this pedal has a tone that is fantastic for recording direct-to-digital via USB. 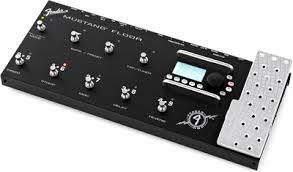 Mustang Floor has 9 footswitch and pedal controls are made of strong aluminum material which is solid, with the Mustang III control panel that is easy to learn intuitively, an LCD display window, 12 amplifier models, 37 effects, 100 onboard factory and user presets. 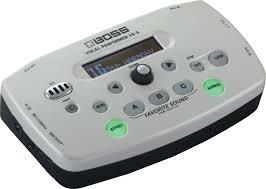 Can also be used in individual-stompbox mode, where the facility amp models can be bypassed, headphone output and auxiliary input, 2 output XLR and two line outputs 14 “(outputs can be programmed for maximum response and adapt to the needs of the PA system, power amp or guitar amp), chromatic tuner there, USB connectivity is easy to set to output with high quality and low latency, and interfaces to the Fender FUSE application. To restoring Fender Mustang Floor to its factory settings, just simply power ON while simultaneously holding the EXIT button until it is no longer illuminated. Warning! This procedure will erase all user modified presets. 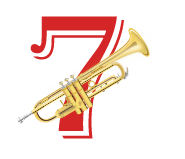 It will also remove any custom effect selections that have been modified using Fender FUSE software. Hopefully the article of Resetting Fender Mustang Floor Guitar Multi-Effects Pedal useful for you.